63% of sales leads don’t convert for at least 3 months. One reason is that many salespeople just don’t understand how to use the information they have that’s been sitting on their CRM this whole time. My guest today. 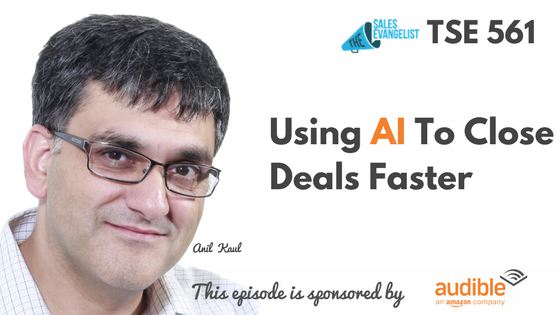 Anil Kaul is going to teach us how you can circumvent this issue through the power of AI. Anil Kaul has grown a successful organization as the CEO of Absolutdata, a 15-year old data analytics company that help companies make informed and better decisions as well as empower sales teams to make better decisions. Sales is a combination of science and art for which their company can provide the “science” side of things. 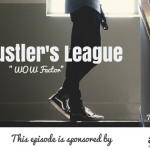 Listen in to find out how you can utilize technology to make your life so much easier! Sales is not about selling, but about helping. As soon as you help, you’re going to be their friend and they’re going to buy from you because you are their friend. If you provide the right level of information to the right person, the process starts to flow and move forward. Otherwise, bombarding the customer with information, the flow stalls. You have to be strategic with what you share with your leads in order for the sales process to move forward. The sales leader needs to enable the sales team which of the leads they need to focus on and then determine the right strategy. The role of the sales leader now is to provide the team with the right tools on the science side and the right kind of coaching and training on the art side of things. Now is the time that AI will make a difference. One of the biggest challenges sales is facing as well as other departments is too much information coming from all directions and it’s difficult which pieces to take in with not enough time. There is too much information that you only need to sift through only those that are relevant to you and that can make a difference. AI can process a huge amount of data in terms of text, events, data, social media, etc. It’s good at figuring out what matters and what doesn’t. AI can now correlate and connect discrete pieces together based on these different pieces of information obtained. Change the mindset of leaving that burden on the sales individual because the organization itself has to take responsibility and AI needs to be done on an organization level. Absolutdata focuses on the salesperson and looks at what they need to do and what kind of information can be pulled up from the data they have. Most small businesses have CRM systems and there is so much data sitting in that database that you can leverage by finding patterns that can help your sales team. Absolutdata can help you find out new opportunities you’re not aware of and also find out the most likely effective paths to closure. They have access to the history of the customer, to the history of similar customers, and access to what your best salespeople have done. By combining these three, Absolutdata can give you the best recommendations on what your game plan can be. So you can focus on selling rather than spending extra time sitting down trying to figure out what your game plan should be so you become a significantly effective salesperson! Larger sales teams and organizations are better suited to what they have since they have access to more data so that makes recommendations more robust. They can also give tools to smaller organizations. They have a tool where you just give your quotas set for the beginning of the quarter and they can look at your sales history and tell you which customers are more likely to buy and which gap is the largest.This little tool simply sits on your phone and you can have access the necessary information you need to move that deal along. Make sure you take the optimum value of the data the organization has because you make better money because the data is sitting there so just use it.